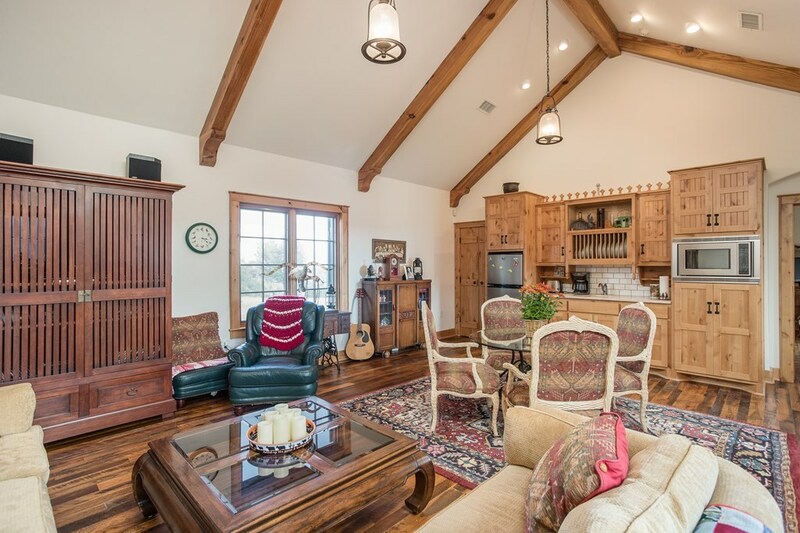 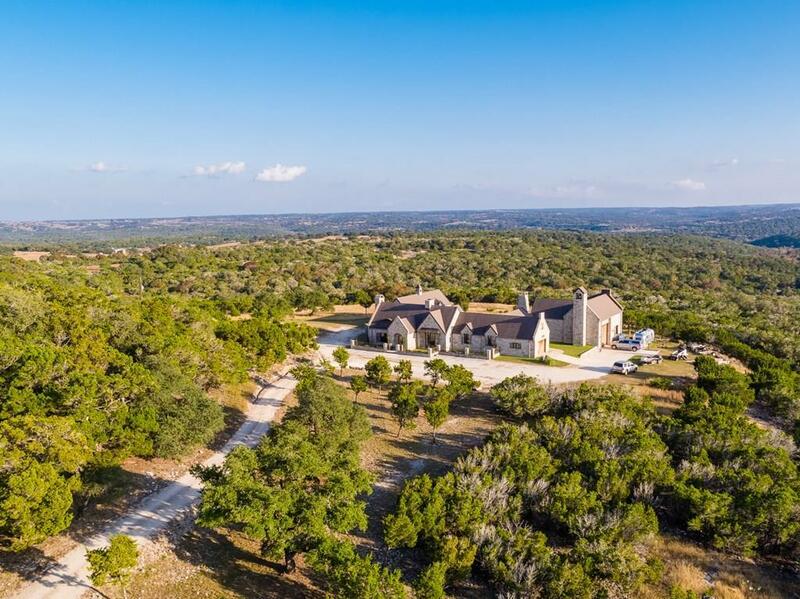 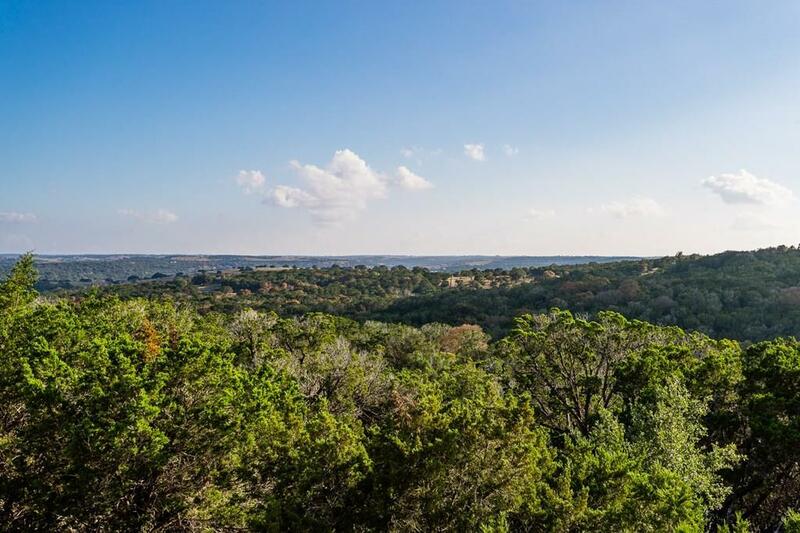 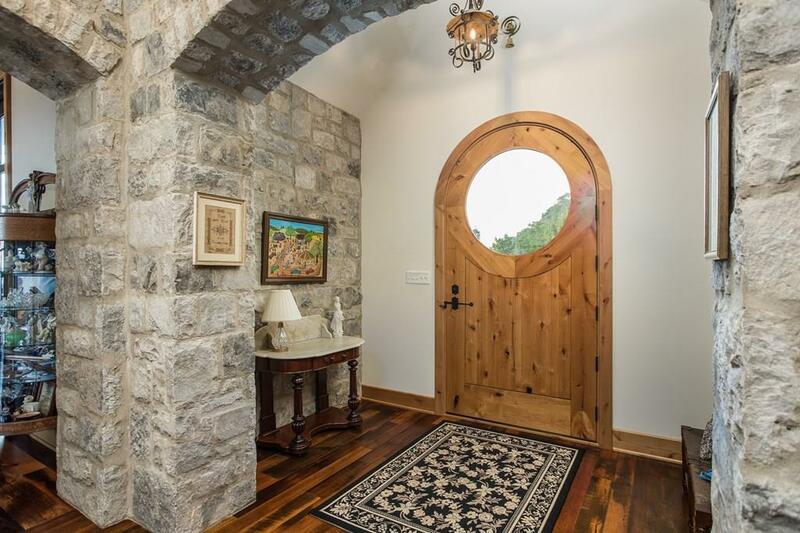 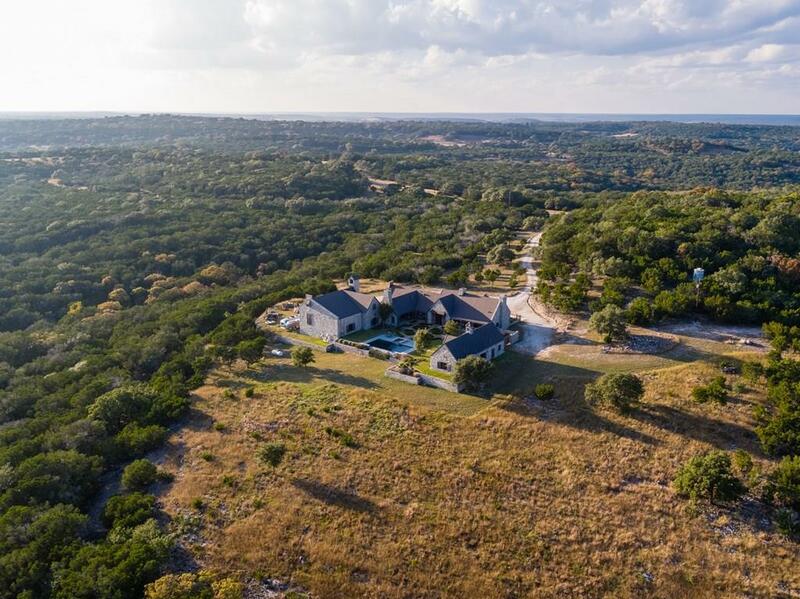 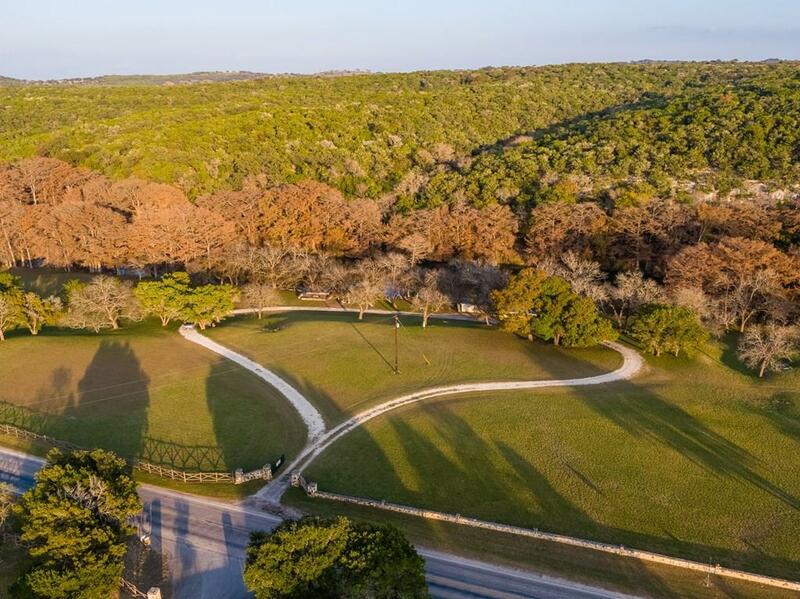 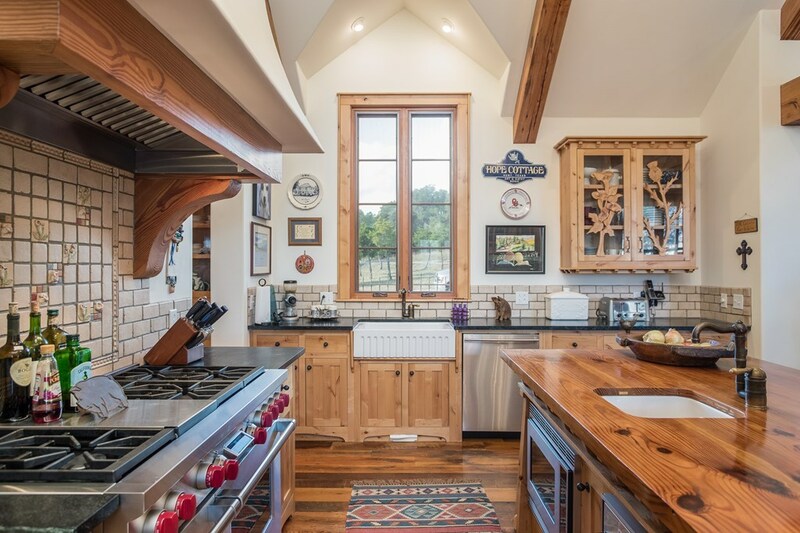 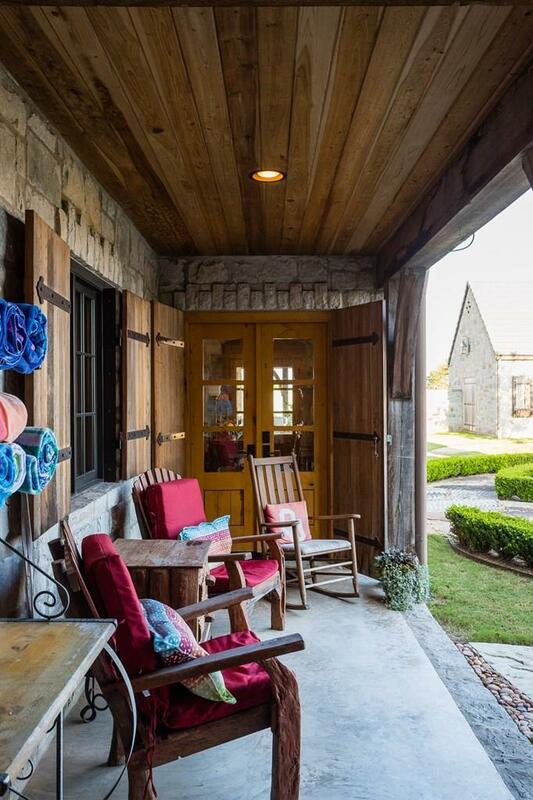 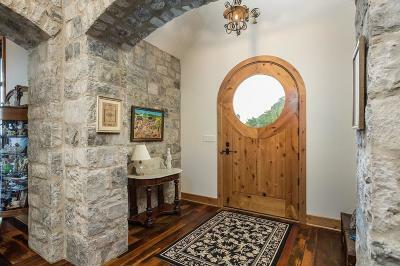 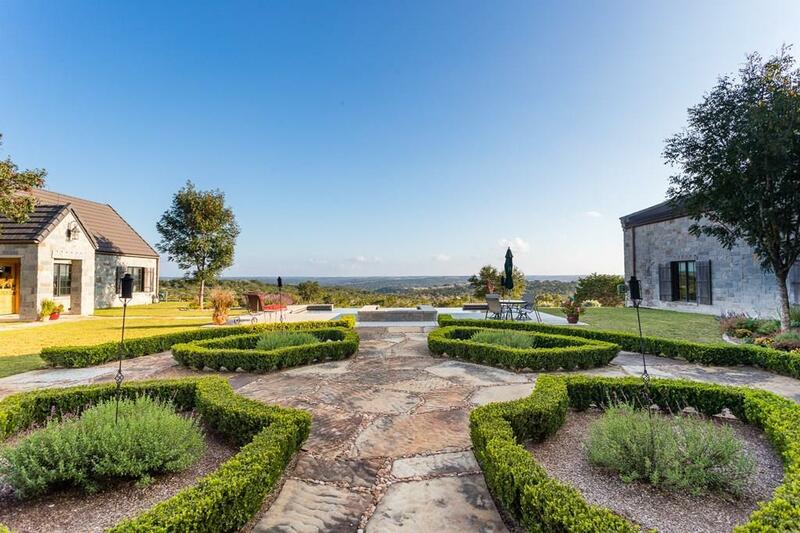 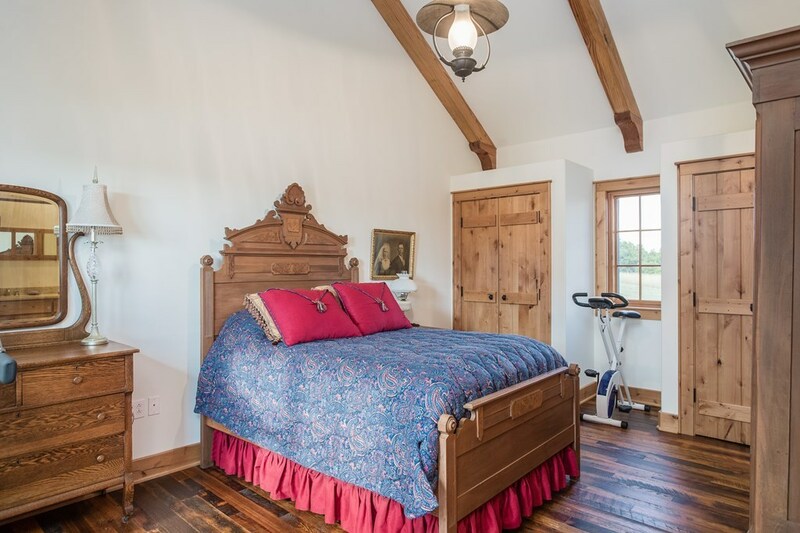 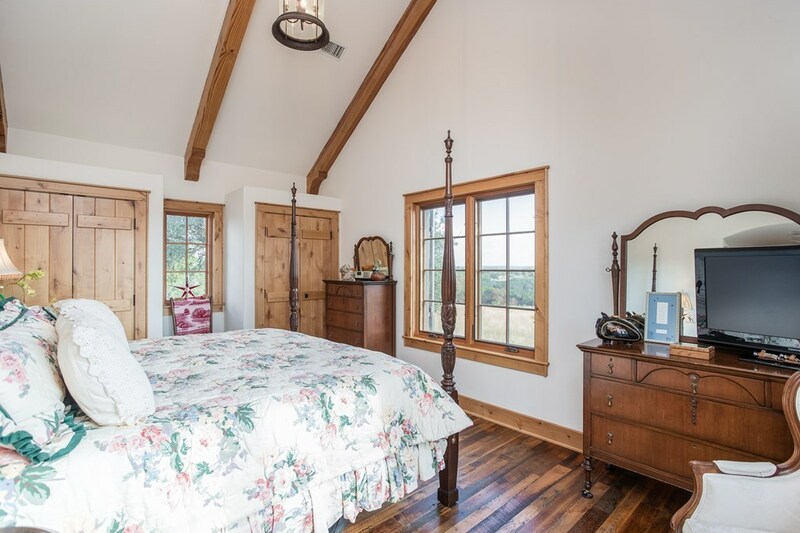 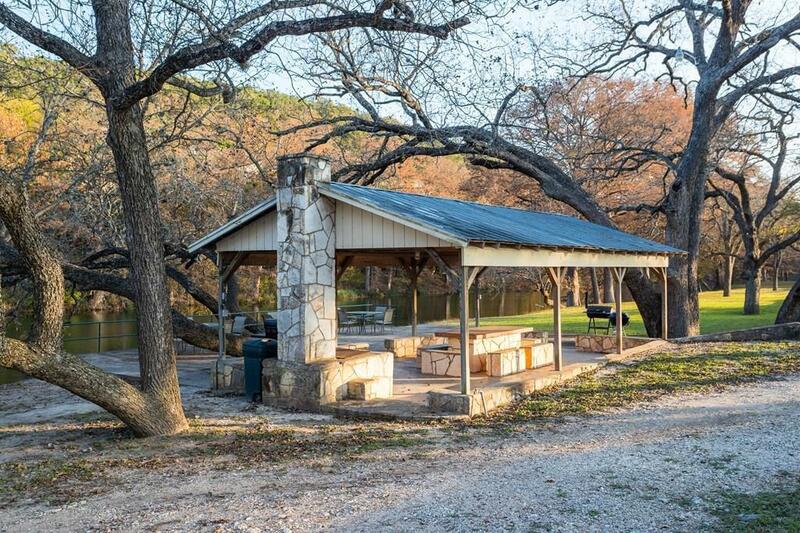 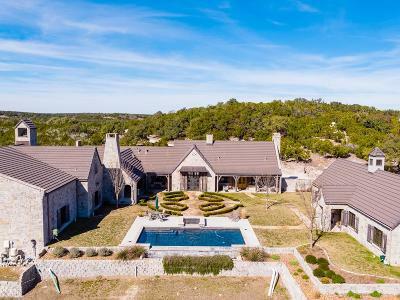 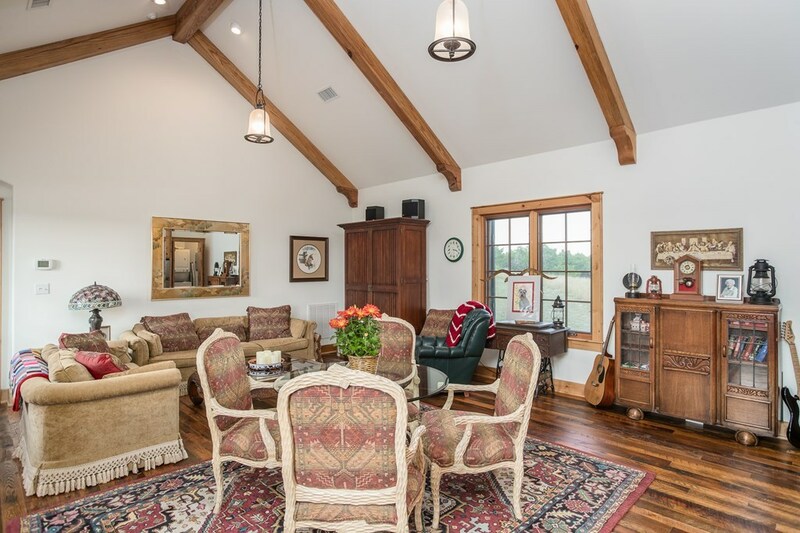 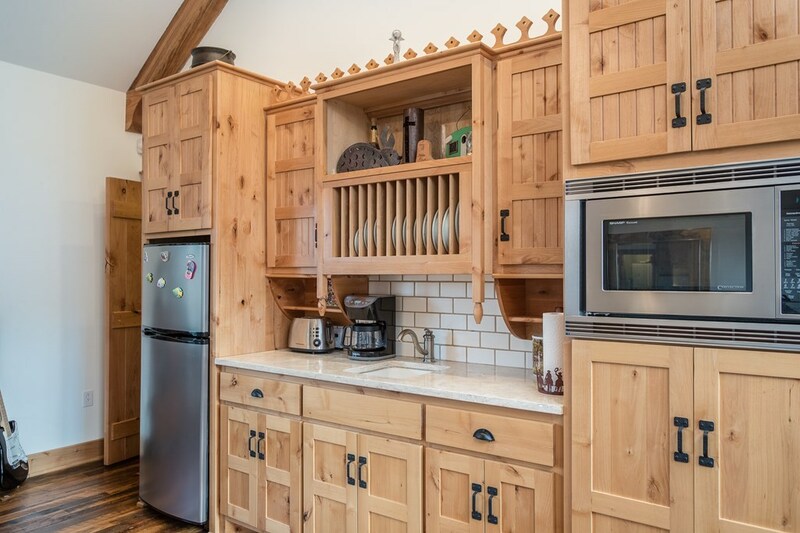 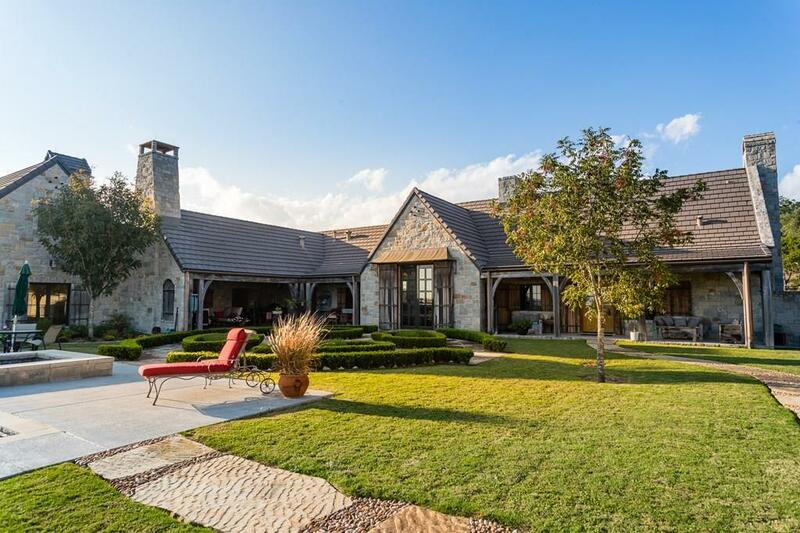 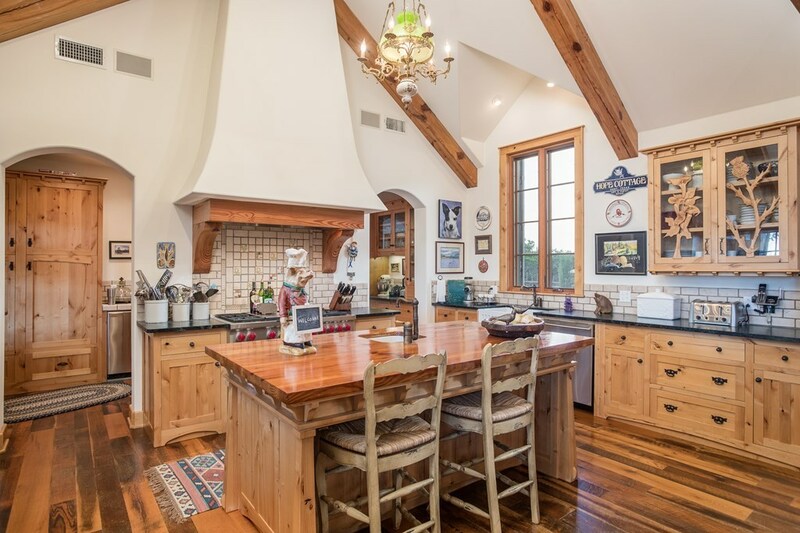 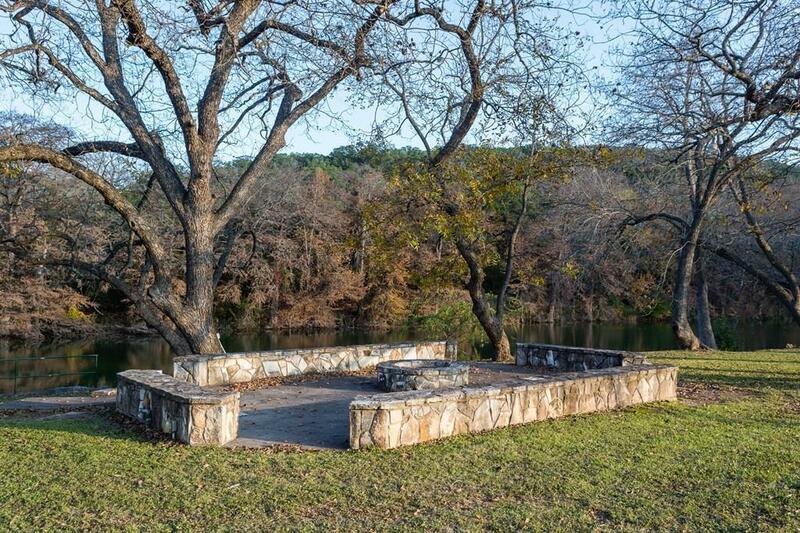 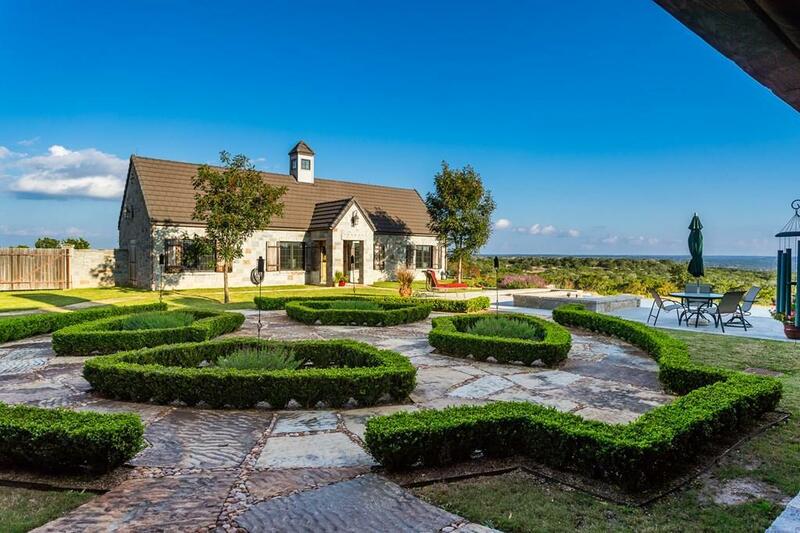 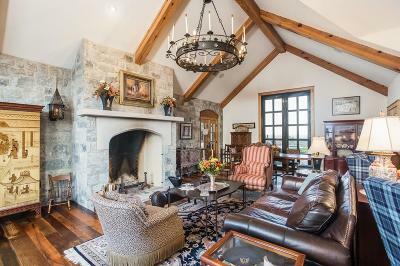 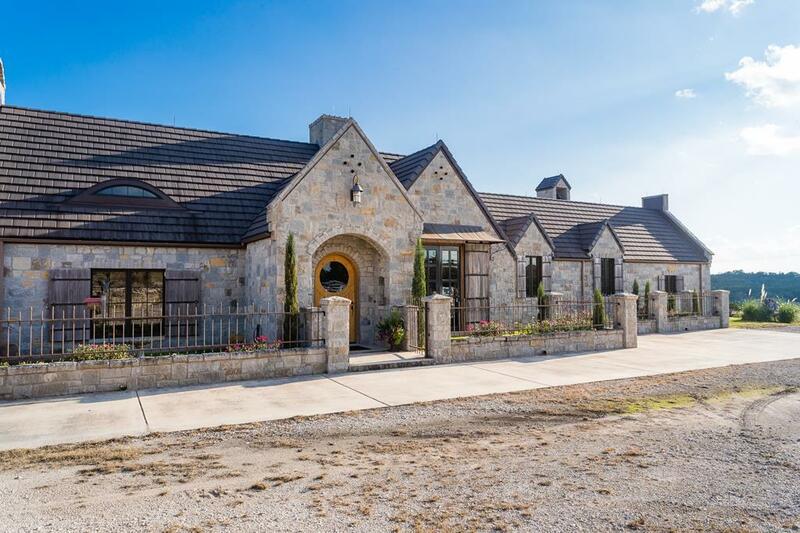 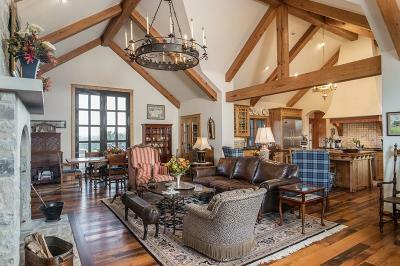 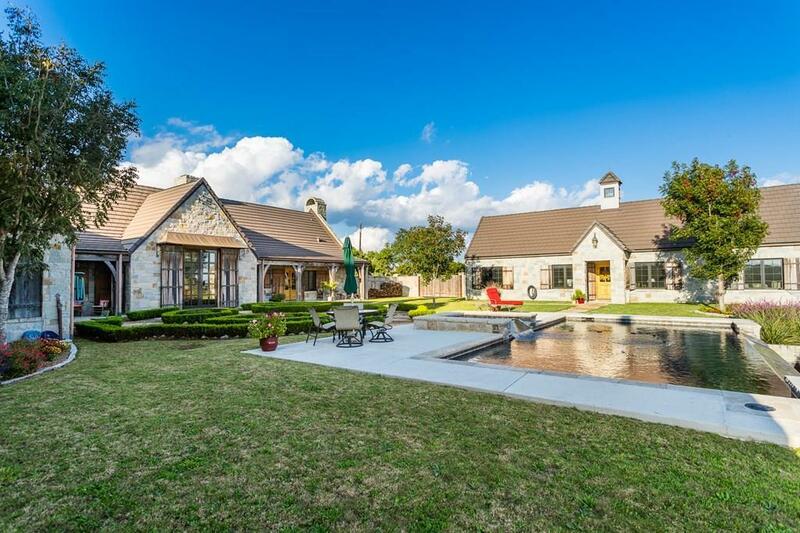 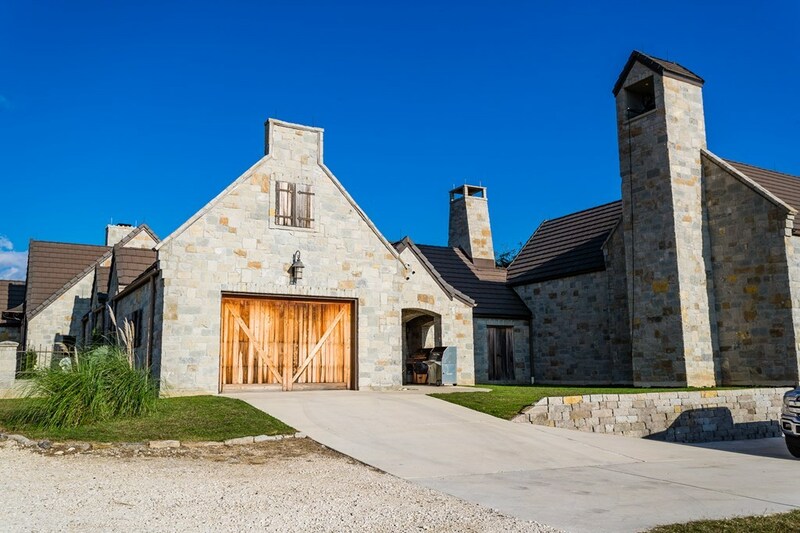 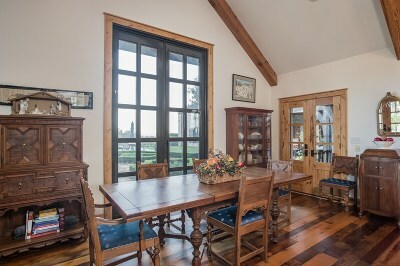 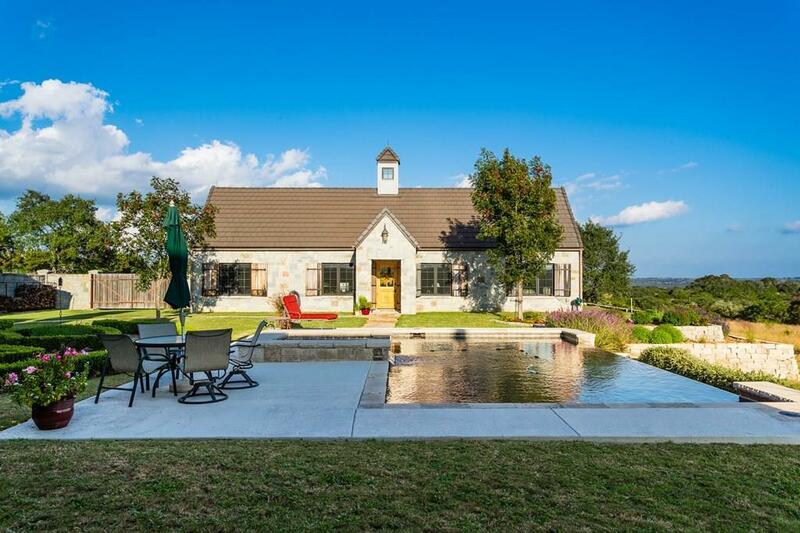 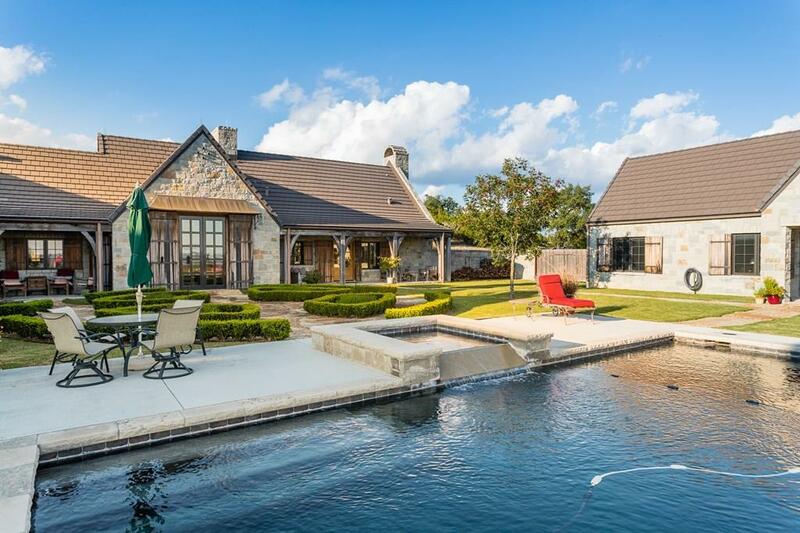 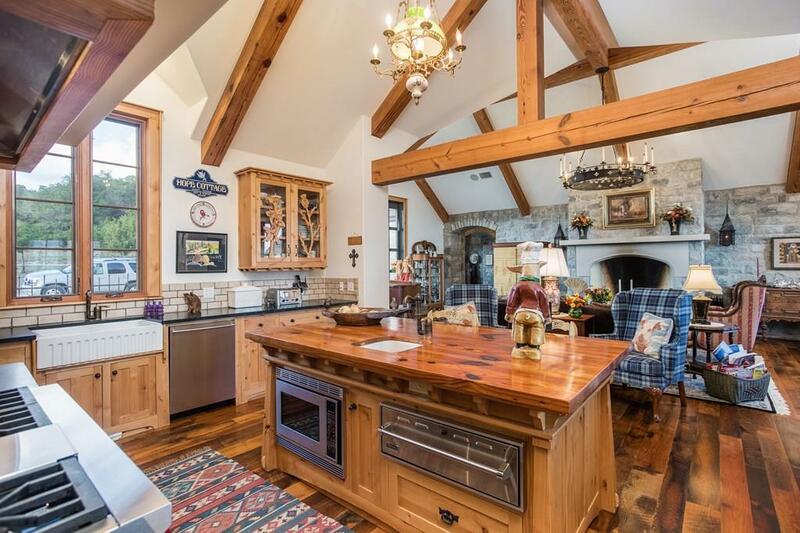 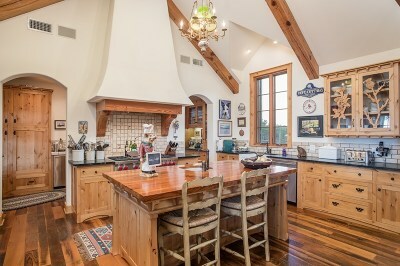 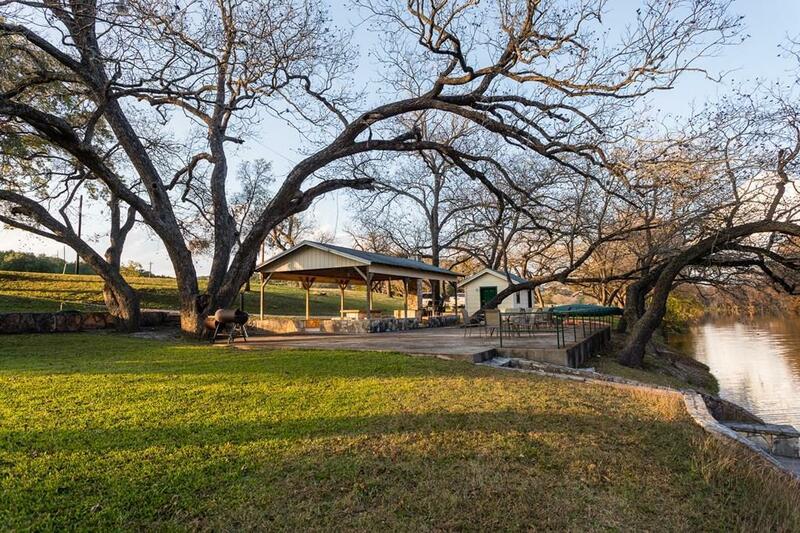 Jack Arnold designed custom Scottish farm house in gated Comanche Caves in Hunt, Texas on over 104 acres. 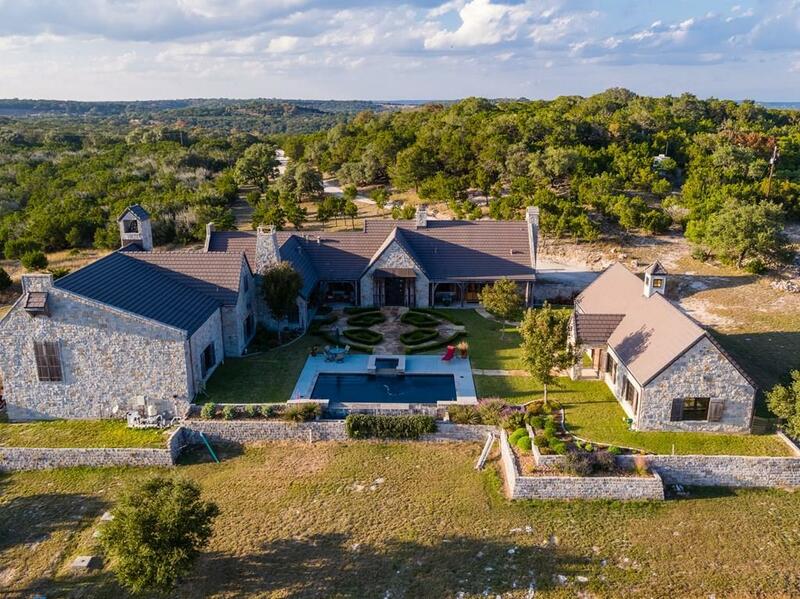 High end finishes throughout including granite counters, oak and slate floors, concrete tile roof, handmade steel fencing and stone exterior. 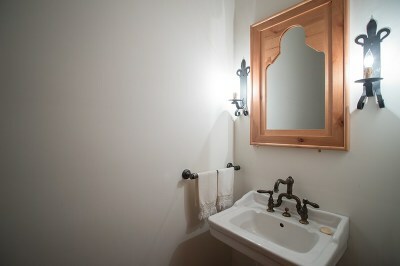 Exceptional attention to detail. 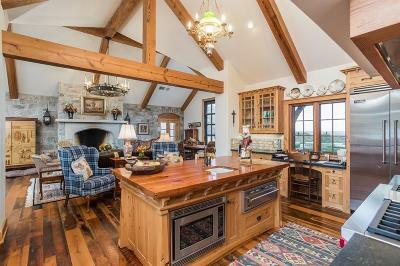 Open floor plan for ease in entertaining. 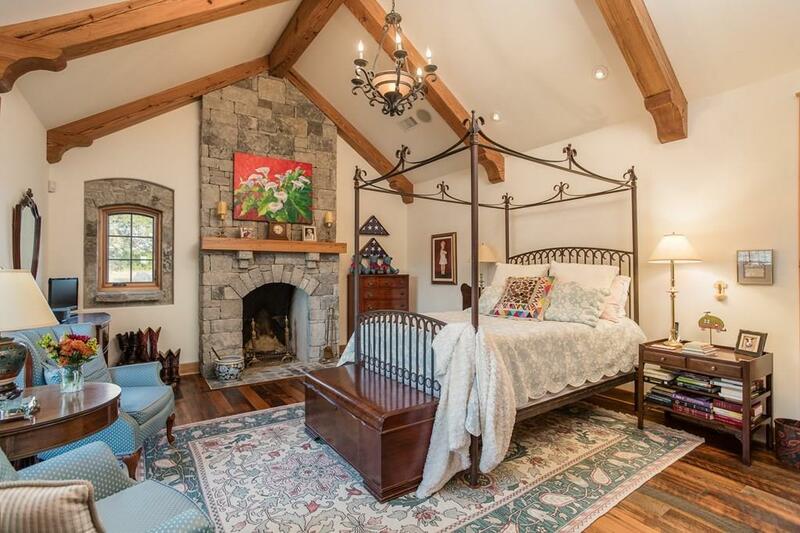 Fireplaces in great room and master bedroom. 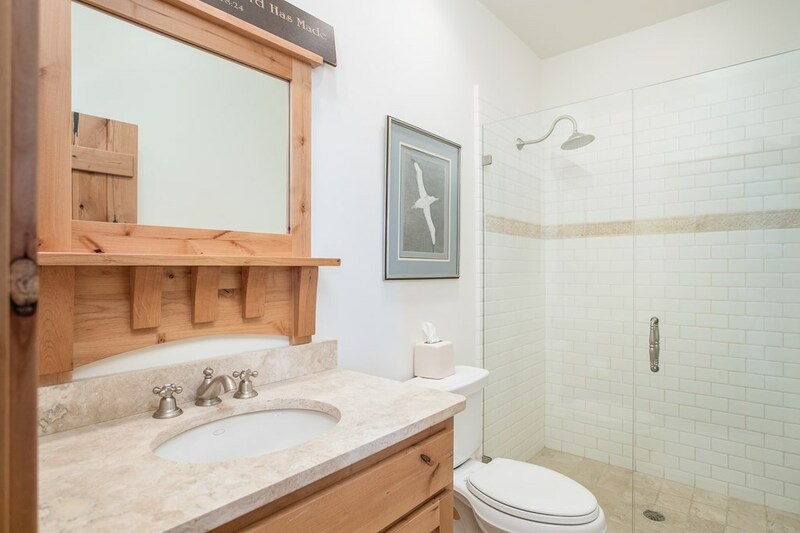 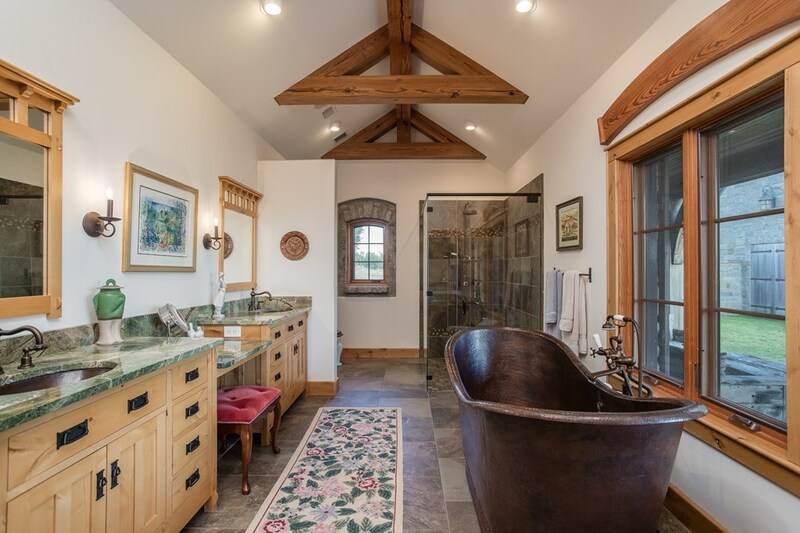 Master bath with walk-in shower and copper soaking tub. 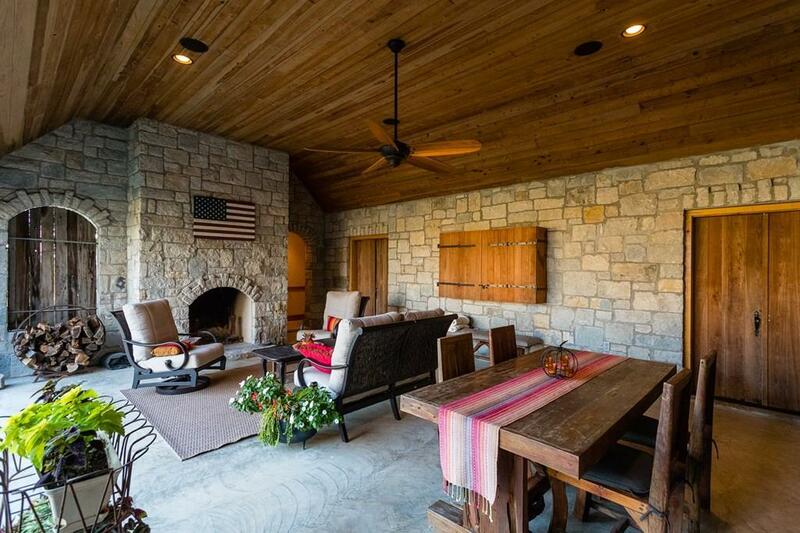 Exterior designed to use year-round with outdoor room w/fireplace plus half bath. 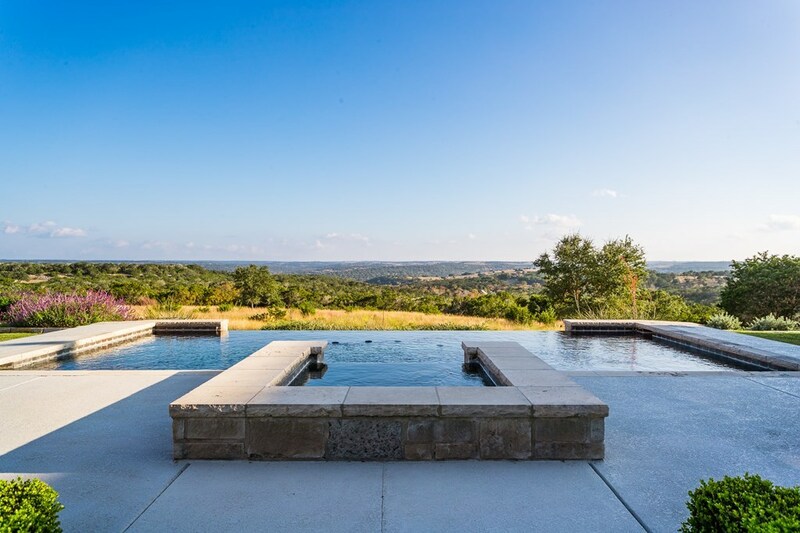 Infinity edge pool with exceptional view of the hill country. 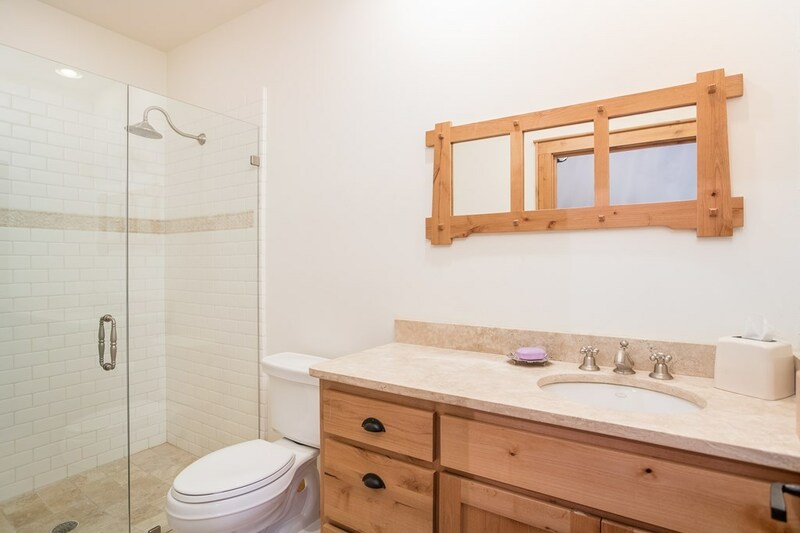 Guesthouse with 2 bedrooms & 2 baths plus kitchen and living area. 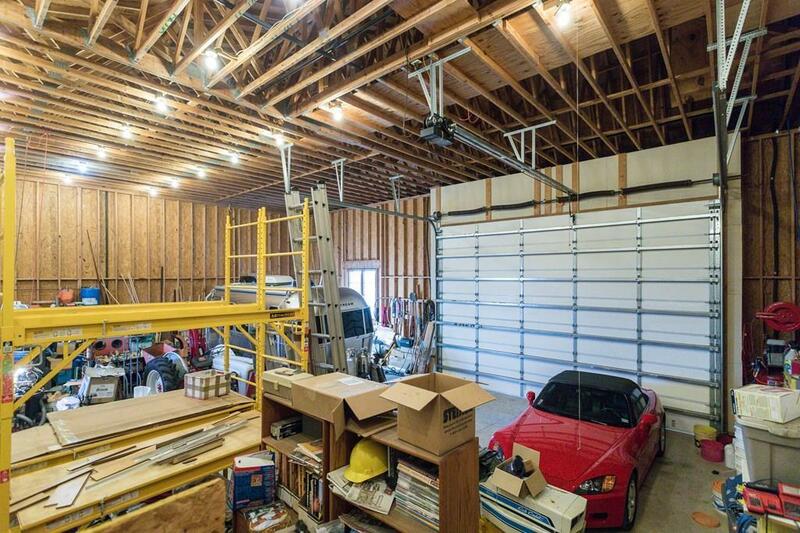 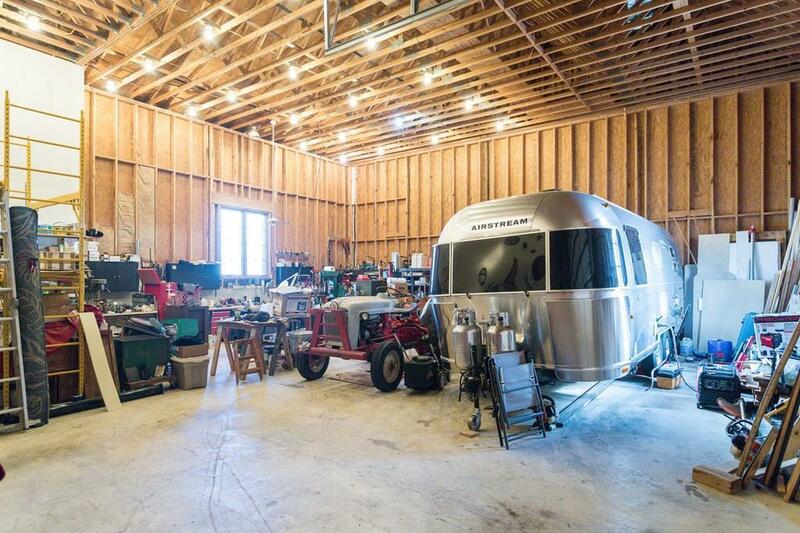 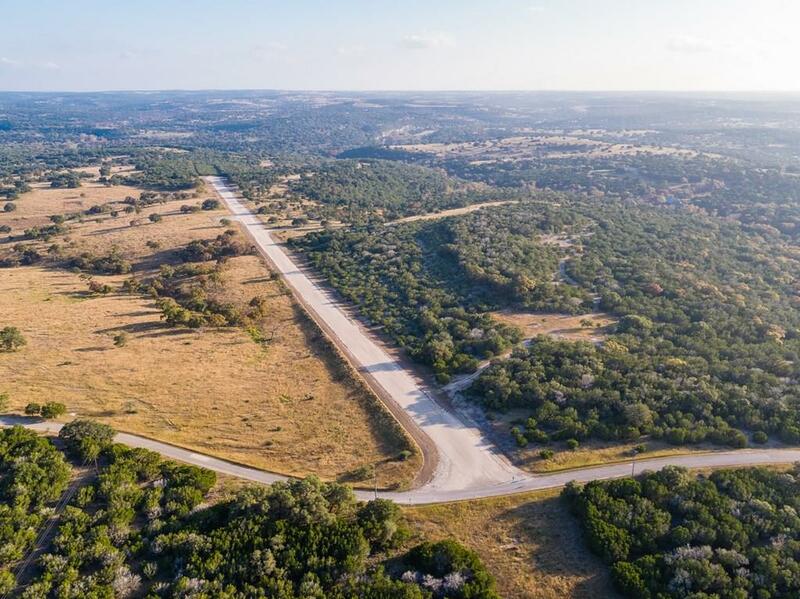 Over 2000 sq ft. garage/workshop/RV storage plus one-car garage. 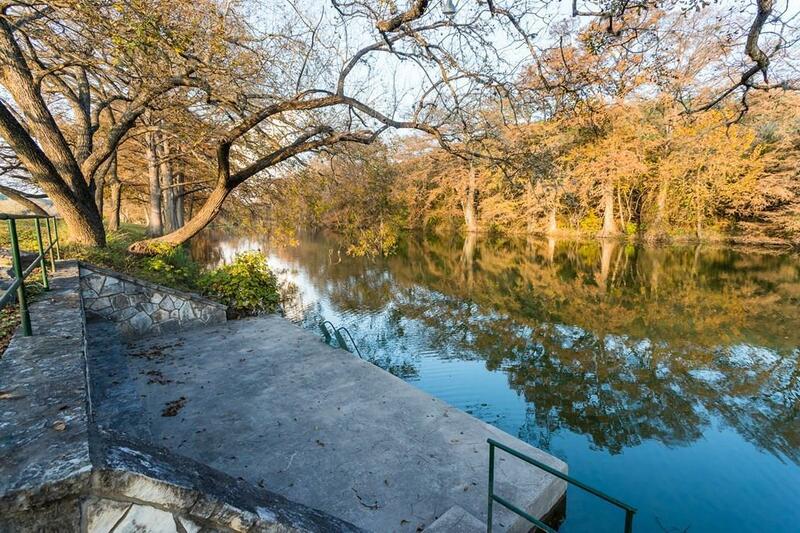 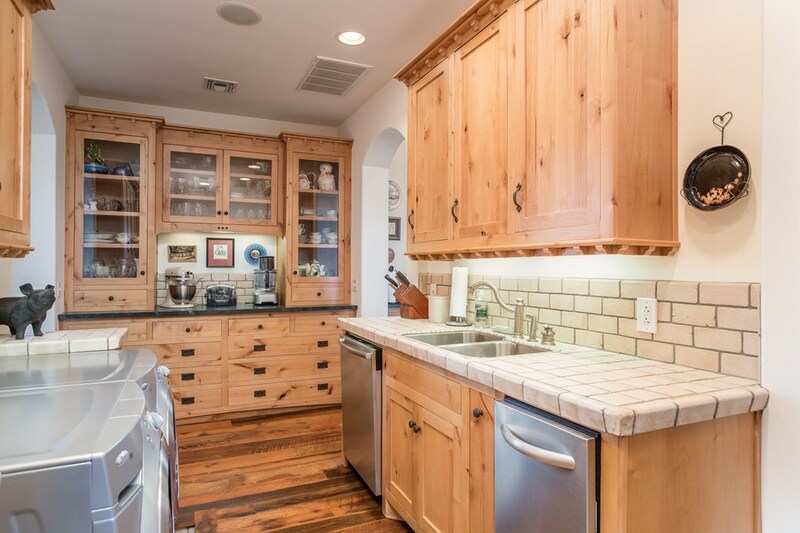 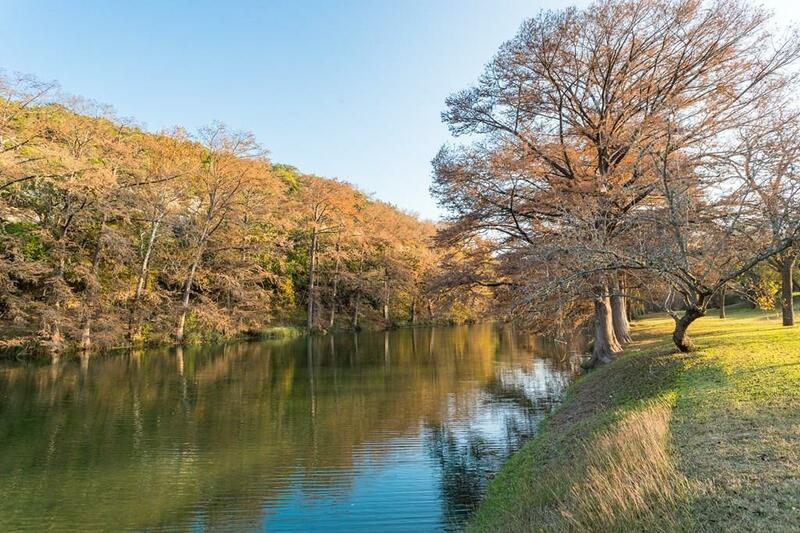 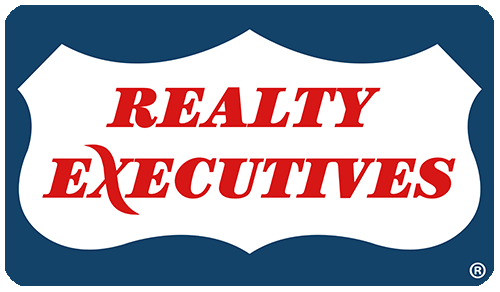 Beautiful Homeowners park on the Guadalupe River. Too many details to list.